1) Carry out a study to assess the degree of implementation of Directive 2008/99/CE in the EU Member States (MS)’ national legislation and practice, comparing the criminal law provisions of the 28 EU MS where the partners of BirdLife Europe carry out their activity, thus providing a detailed picture of the degree of implementation of this aspect of Community law in the EU. 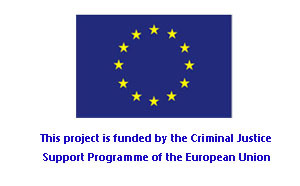 This information will be used to identify possible gaps in the protection of the environment through criminal law and inform the need for future measures to be adopted by the European Commission, Member States and/or the members of the ENEC. 2) Bring together legal and other practitioners who work in the fight against environmental crime. A first project meeting will launch the ENEC partnership with the attendance of lawyers, policy and investigations experts who work on behalf of the partners of BirdLife Europe. During the meeting the results of the study on Directive 2008/99 will be presented, establishing a series of conclusions and future courses of action on criminal law at EU level and in the different MS.
3) Strengthen the application of criminal law in the fight against wildlife crime in the EU. The project includes three concrete lines of action through ENEC: illegal bird killing and capture, poisoning and habitat destruction. The joint action of ENEC members will allow efforts to be combined, supporting action in EU countries with fewer resources, and sharing knowledge and experience in the fight against these crimes. With this in mind, three workshops will be held which will make recommendations for strengthening the application of criminal law in MS.
4) Integrate with the activities of other networks and international institutions involved in the protection of the environment. ENEC will establish coordination and communication channels with other networks that work on the application and implementation of Community environmental law, as well as the Secretariats of the international nature conservation conventions.